In protest against assault on All Assam Students’ Union (AASU) activists in police station at Nalbari allegedly by BJP workers, the students’ body will observe National Highway blockade across Assam on Tuesday. Amid protests going on across Assam opposing Citizenship (Amendment) Bill, 2016, the incident of Ghograpar in Nalbari on January 27, 2019 ignited the clash between the AASU and Bharatiya Janata Party (BJP). 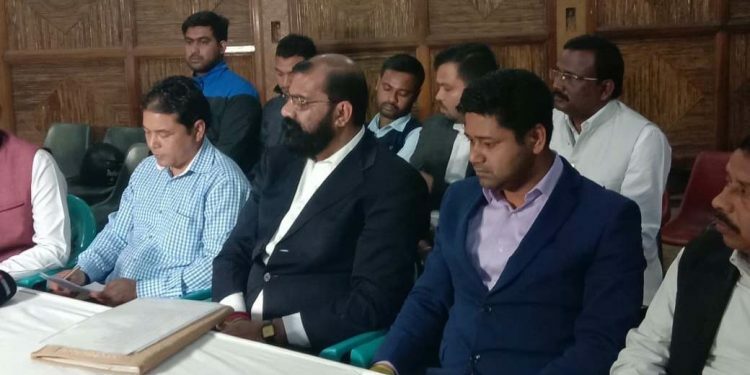 Addressing a press conference held at Swahid Bhavan in the city on Monday, AASU’s chief adviser Dr Samujjal Kumar Bhattacharya not only condemned the incident but also warned the BJP that “its consequence would be very dangerous”. “The government and the BJP would be given proper reply to every assault on the AASU members. No one will get respite,” said Bhattacharya. The assault on detained protesting AASU workers by BJP workers at the police station on January 27 has been termed by Bhattacharya as BJP’s ‘barbarism’. He also pointed out that the Nalabari district police have been just following the diktats of the BJP and RSS while referring to the assault on AASU workers in the police station. The AASU leader also informed the AASU will observe National Highway blockade programme in entire Assam on Tuesday for one hour from 12 at noon to 1 pm in protest against the Nalbari incident. The press conference was also attended by North East Students’ Organisation (NESO) chairman Samuel Jerwa. Jerwa also vehemently condemned the incident of assault on AASU workers. Talking to media persons, NESO chairman Jerwa said the protest against the Citizenship (Amendment) Bill, 2016 will continue across Northeast India. The press conference was also attended by representatives of various other ethnic organizations including All Assam Tea Tribes Students’ Association, All Moran Students’ Union and they also condemned the incident.